Mumtaz01274 571861work Restaurant - IndianWelcome to the world famous Mumtaz, a truly unique experience of high class dining steeped in the art of Kashmiri cooking. Our reputation travels far and wide, having catered for the rich and famous global elite. From famous actors and Bollywood stars to politicians and the business elite. Mumtaz has become the place to be seen for the discerning modern diner. Special occasions - together we make a great party! At Mumtaz we want to help you commemorate your special party, from birthdays, anniversaries, reunions and family gatherings. Arrangements can be made for celebrations large and small. We offer an extensive beverage list and full menu for both lunch and dinner. Customised buffets can also be arranged. Whether you desire to book a small of large room just let us know. Guide Dogs Welcome - Disabled Access - Disabled Parking - Family Room - Function Room - Childrens Menu - High Chairs - Prayer Room - Secure Car Parking - Braille Menu - Vegetarian Dishes. 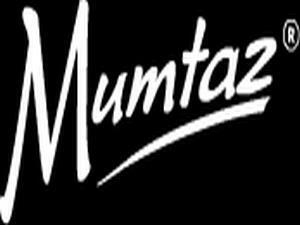 Welcome to the world famous Mumtaz, a truly unique experience of high class dining steeped in the art of Kashmiri cooking. Every day 11.00 - 01.00.